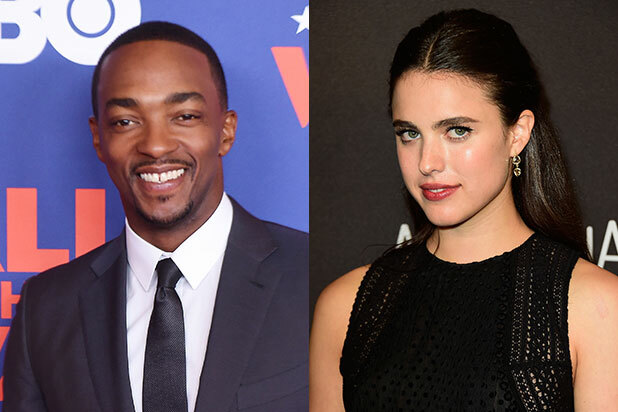 Anthony Mackie, Margaret Qualley and Danny Huston will star in the science fiction film “IO,” Mandalay Pictures’ Jason Michael Berman and Untitled Entertainment’s Laura Rister announced Friday. The project was developed at the Sundance Institute’s Writers Lab and the Sundance Institute Catalyst Forum and will be directed by Jonathan Helpert. Clay Jeter, Charles Spano and Will Basanta wrote the script. Berman and Rister will produce “IO” for their respective production houses. The film will premiere on Netflix in 2017. “IO” will tell the story of a girl coming of age while looking at the dangers associated with human’s current relationship with Earth. Qualley will play a teenager surviving as one of the last people on the post-cataclysmic Earth, while Mackie while play a refugee on his way to an imminent shuttle launch. Mandalay and Untitled are producing in association with Great Point Media and Okanagan Media Limited, Sunset Junction Entertainment, Good Lap Productions, Make It with Gravy Productions and Inspire Entertainment. Executive Producers are Will Basanta, Clay Jeter, Charles Spano, Victor Shapiro, Raphael Swann, Alain Peyrollaz, Francois Enginger, Anthony Mackie, Jason Spire, Ryan Lough, Dave Hansen and Johnny Mac. Qualley is represented by UTA, Management 360 and Harris Hartman at Sloane, Offer, Weber & Dern. Mackie is represented by UTA and Inspire Entertainment, while Huston is represented by WME, Julian Belfrage Associates, Untitled Entertainment and David Fox at Myman Abell Fineman Fox Greenspan Light LLP. Production is set to begin this week in France.